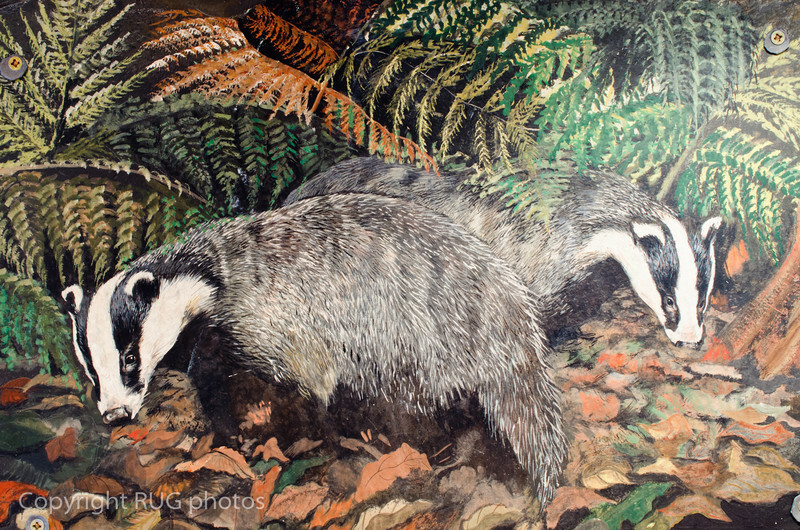 The walls were adorned by a remarkable collection of paintings featuring countryside wildlife including badgers. These were painted on large thick slabs of Welsh slate that were rescued long ago from an old manor house. The slabs were over an inch thick and huge!